It’s the most wonderful time of the year, and Fort Worth has so many festive ways for you to celebrate with your community! 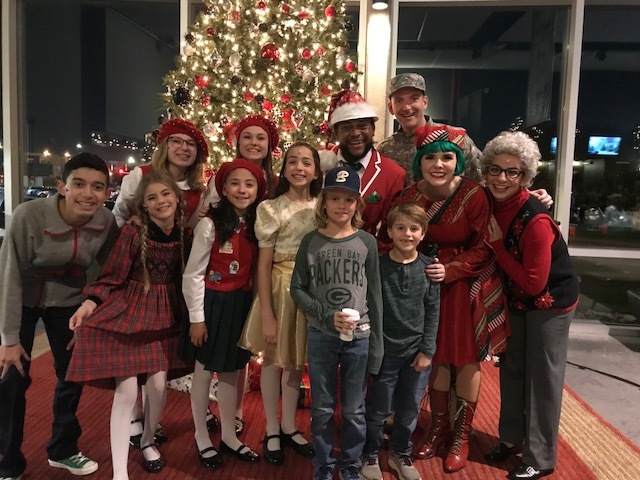 So, let’s keep calm and jingle on with these local events that are sure to bring even the grinchiest of grinches some Christmas joy. The Shops at Clearfork will have “A Clearfork Christmas” on December 8th to make your day merry and bright. Festivities are from 12 to 4 pm in the Plaza. Entertainment includes a performance from the Texas Boys Choir, holiday activities, a visit with Santa, and more! 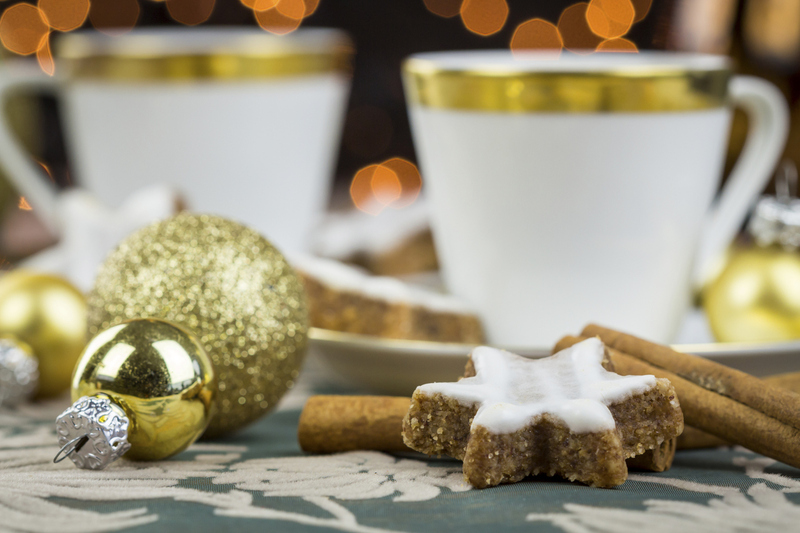 And to make the Clearfork holiday event even more worth the visit that day, come to Pinstripes Bistro Bowling and Bocce and enjoy a classic holiday tea with live entertainment, a meet-and-greet with the Texas Ballet Theatre ballerinas and more. Important to note: Tickets are required for this event and can be purchased at Simon Guest Services or online. Christmas music has always been near and dear to my heart. Growing up, my mom and dad would have us all sing Christmas carols together. My dad would play the acoustic guitar, and my mom would harmonize with her beautiful singing voice. I think it’s because of these memories, I have never grown tired of hearing those same songs over and over every year. One of my very favorite pieces of music to hear during the holidays is Handel’s Messiah. Not only is it an absolutely stunning performance by our very own Fort Worth Symphony Orchestra, it sets my heart and mind in the right place for what this season is truly about: celebrating the birth of Jesus Christ. 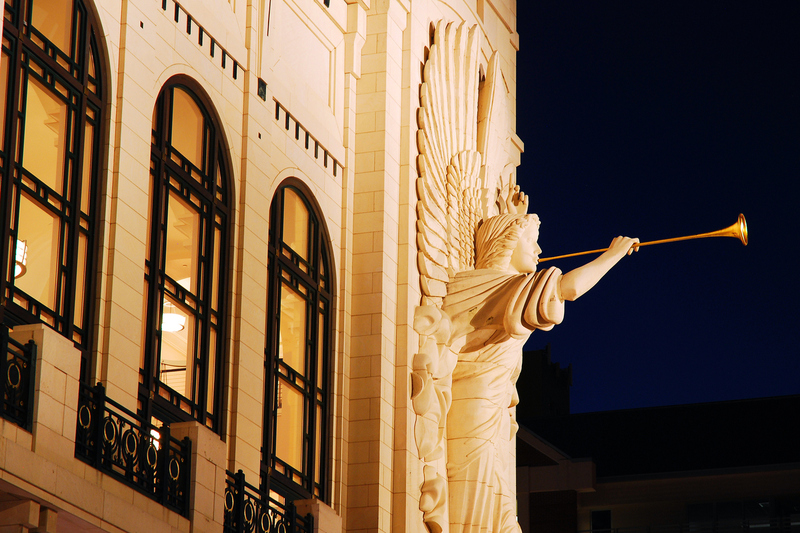 This year’s performance takes place on December 3rd at the Bass Performance Hall. Purchase tickets here. Need a cozy Christmas celebration that allows pajamas instead of velvet and sequins? Yes, please! How about the Polar Pajama Parties put on by the Fort Worth Museum of Science and History? All aboard this kid-friendly event for a chance to enjoy wintry hands-on activities coupled with the holiday film, “The Polar Express.” Tickets include admission for the Omni Theater immediately following or preceding the Polar Pajama Party. Please visit the website for details on dates and times. Casa Mañana’s “Twas the Night Before Christmas” is still having performances throughout the month of December. This is a story of a little girl named Molly who is having trouble finding her holiday spirit. Her mother helps make it a Christmas she will never forget by taking Molly on a magical treasure hunt through New York City where they encounter dancing elves, Santa Claus, and more. Last performance for this show is scheduled for December 23rd at 2 pm. Visit the website for more information on times and tickets. Lover of Christmas lights? Me, too! 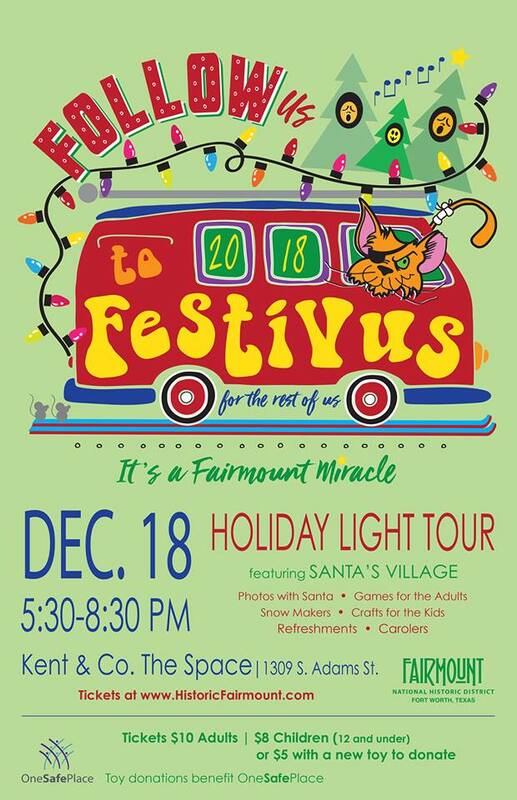 Fairmount’s FESTIVUS celebration is Tuesday, December 18th from 5:30 to 8:30 pm at Kent & Co. – The Space. It’s a holiday light tour of the historic Fairmount neighborhood! Highlights of the event include a visit to Santa’s Village, as well as photos with Santa, games for the adults, snow makers, crafts for the kids, refreshments, and carolers. More information on where and how at eventbrite.com. I’ve made you a list, and checked it more than twice… Merry everything and a happy New Year! God bless us every one! As Jennifer’s mom, I can believe she is excited about the Christmas season. Sounds like Ft. Worth will have a very merry time.